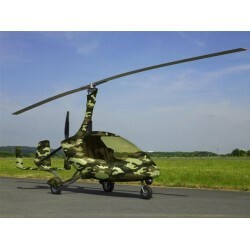 Gyrocopter There are 3 products. 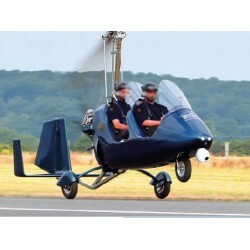 The Police Gyrocopter is well suited for Police duties. Its long endurance and ability to fly low and slow, its safety profile and easy handling characteristics combined with the low investment and operating costs and its low CO2 and noise footprint make it a perfect aircraft for various Air operations. The Autogyro is well suited for Air Force tasking. Its long endurance and ability to fly low and slow, its safety profile and easy handling characteristics combined with the low investment and operating costs and its low CO2 and noise footprint make it a perfect aircraft for various Air Operations. 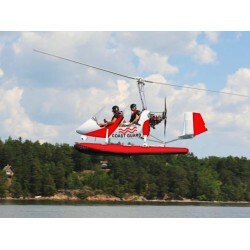 The Coast Guard Gyrocopter is well suited for Coast Guard tasks. Its long endurance and ability to fly low and slow, its safety profile and easy handling characteristics combined with the low investment and operating costs and its low CO2 and noise footprint make it a perfect aircraft for various Air operations.